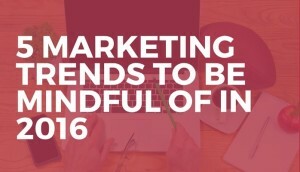 In what ways should businesses plan for location marketing in 2016? As more than 50% of all calculations being done on different mobile devices, location marketing is going to explode into something new and will become the key foundation stone for all kinds of marketing. If you’re into this field, here are some trends that are going to shape the location marketing landscape this year. It’ll become the foundation for local marketing: For a long time now, businesses have considered location data like their names and addresses as nothing but passive information. But the fact is that the more accurate is your location data, the easier it will be for the searchers to find you out. Brands are gradually coming to know that Localeze, the data aggregators and Apple & Foursquare, the publishers can become strong partners to streamline location data throughout the online world. Hence, businesses should have a new imperative of making data more easily accessible. Google will have more investment in local search: Google has recently added local searches to their Search Quality Ratings Guidelines and they also said that local knowledge graph results will very soon become editable. This clearly means that local search is getting enough attention at the Google HQ. Location marketing apps will become more active: Gradually, more businesses are discovering how apps like Snapchat and Periscope can support promotion and direct response within a national level. The national enterprises have the ability to measure the results of such campaigns and incorporate them for even better targeted audiences and here local marketing becomes more important. Mobile wallets will gain momentum: Just as businesses get savvier about the restrains of beacons, they are also witnessing the exploding popularity of the mobile wallet which offers creating customers at the local level. As per Vibes, the mobile marketing provider, majority of the consumers would love to receive mobile wallet content on a weekly basis and around 70% will save an offer to a wallet when they have an option to do so. Competitors will encroach on Google: Google will still remain the search engine giant in 2016 but we can see Facebook and Apple invading into Google’s territory in order to set a tough competition. In a nutshell, if a company wishes to achieve success, the enterprises should broaden their local search network and include apps like Snapchat and make location data more scalable. How Email Marketing Solutions Impact Digital Marketing?